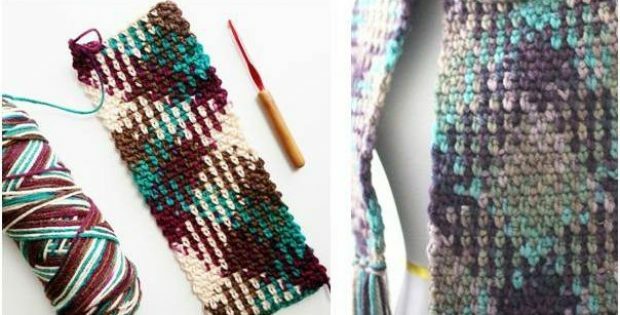 These color pooling crochet patterns will guide you in mastering the latest in crochet techniques. Color pooling is a technique crocheters use by pooling or using yarns of different colors. The technique is meant to exude an amazing, not to mention enthralling, effect to crochet projects. Its multi-color design will surely amp up any crochet article. In fact, this crochet technique is ideal for intermediate and advanced crocheters. They’ll definitely find this collection of patterns and various resources helpful and useful. The wonderful team over at The Spruce is responsible for compiling these amazing color pooling patterns. In fact, you can access the FREE patterns for these different color pooling resources from their website. Featured image: Over the Apple Tree and Repeat Crafter – thank you!